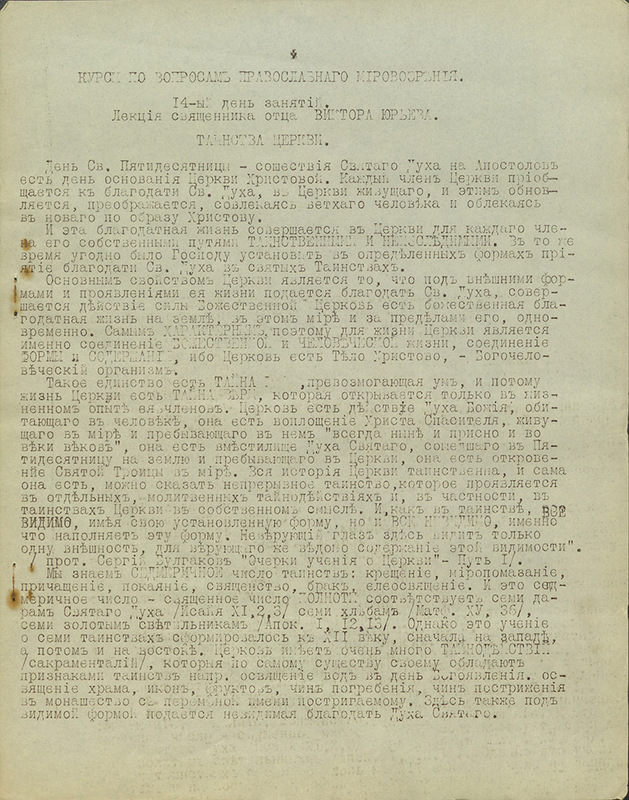 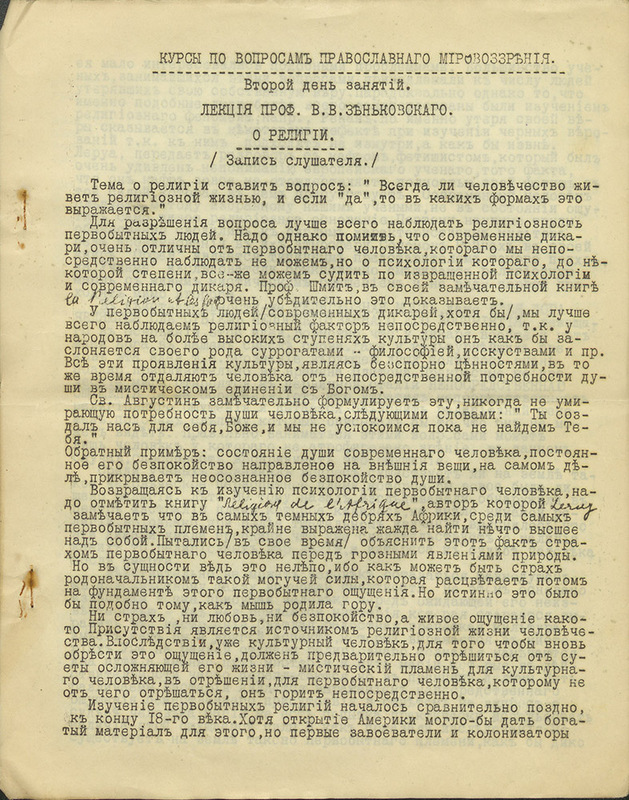 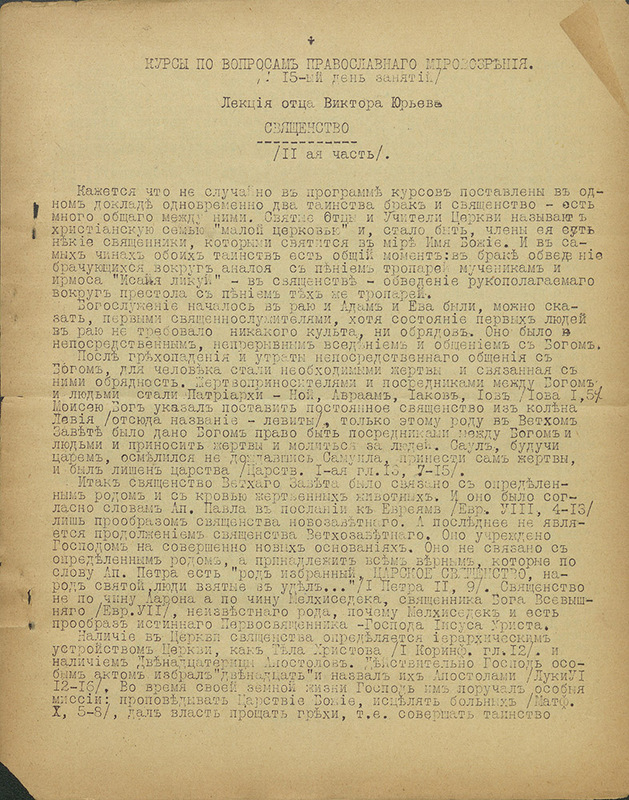 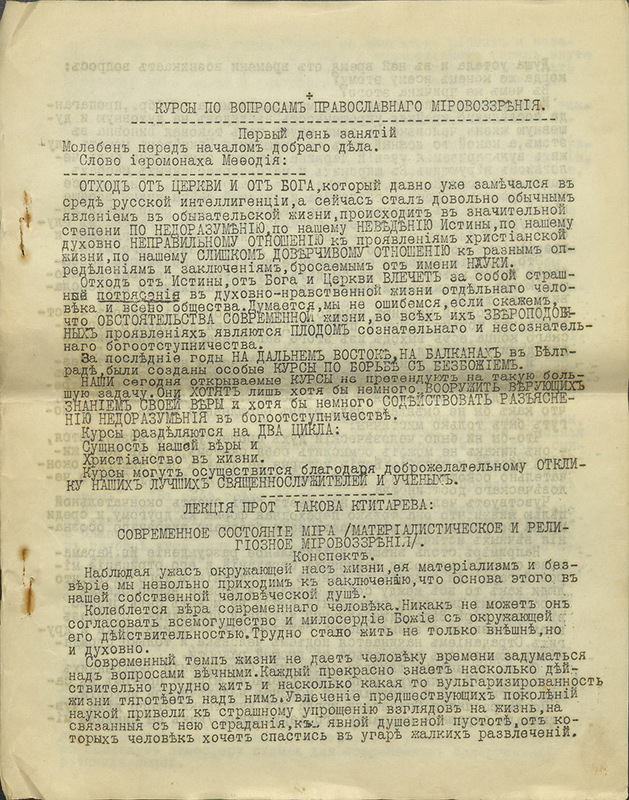 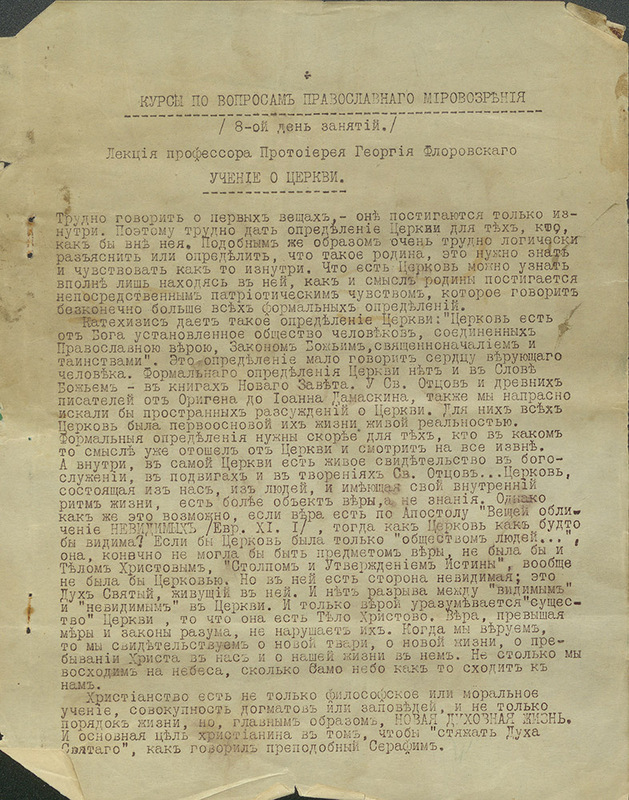 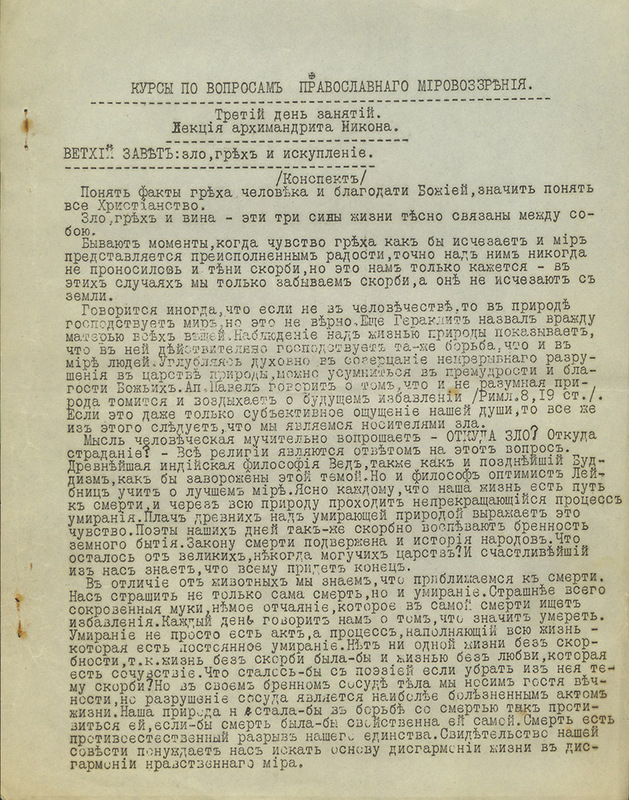 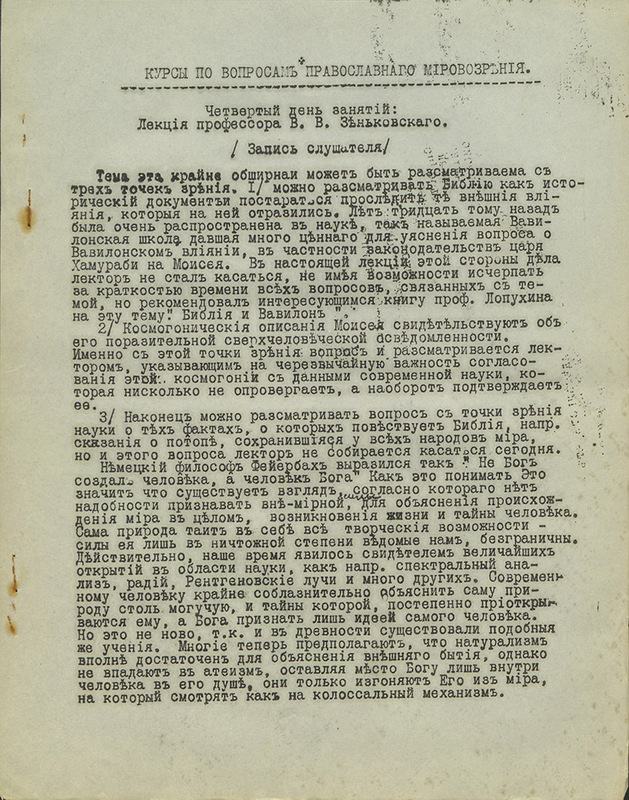 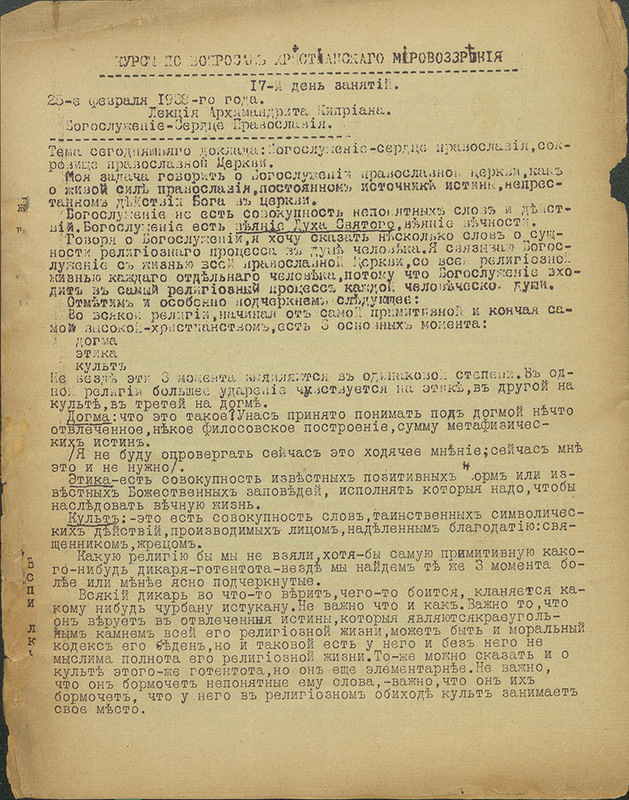 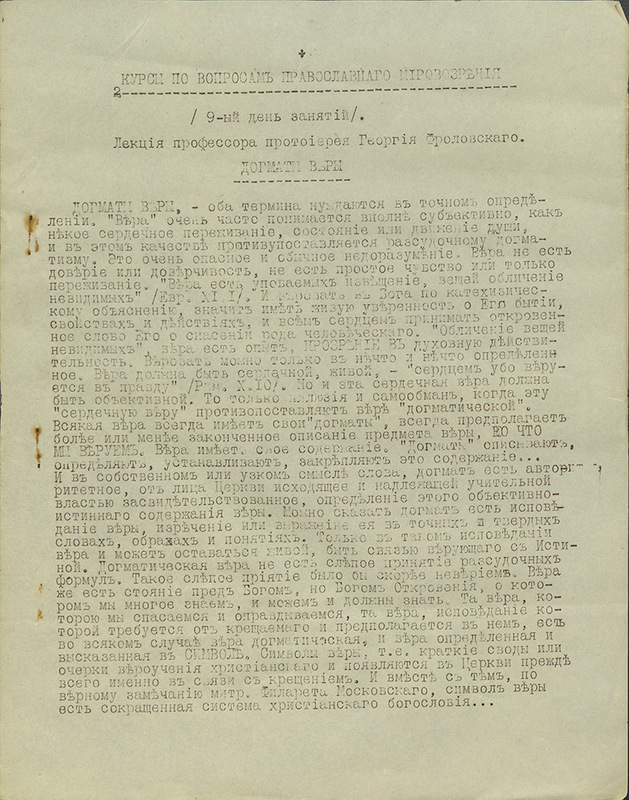 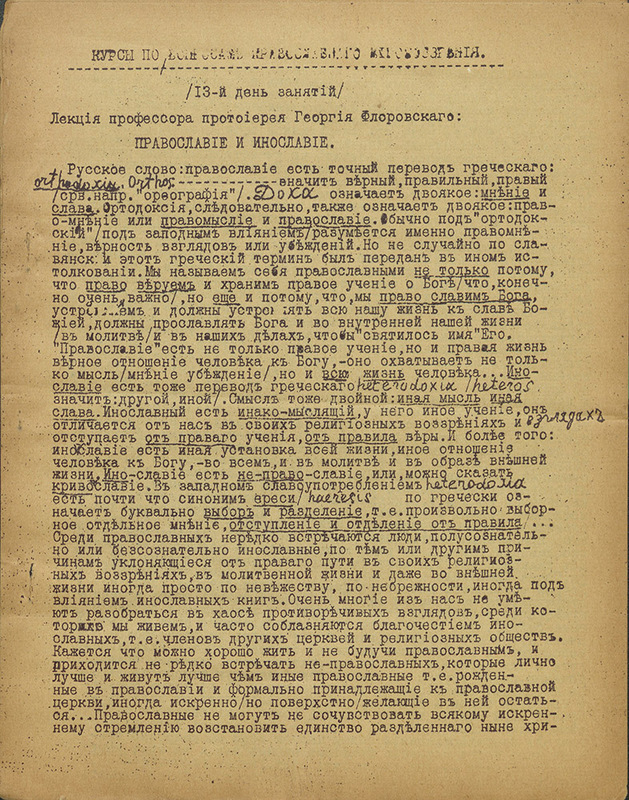 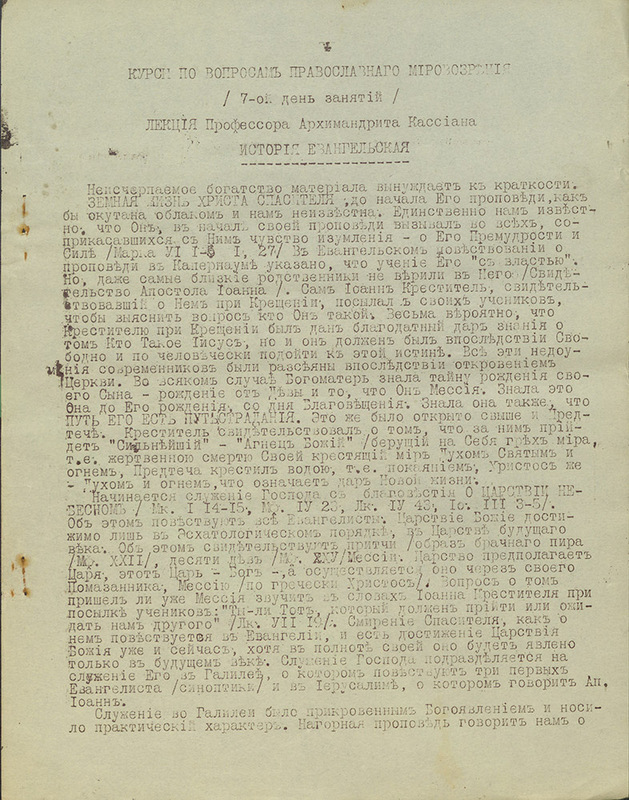 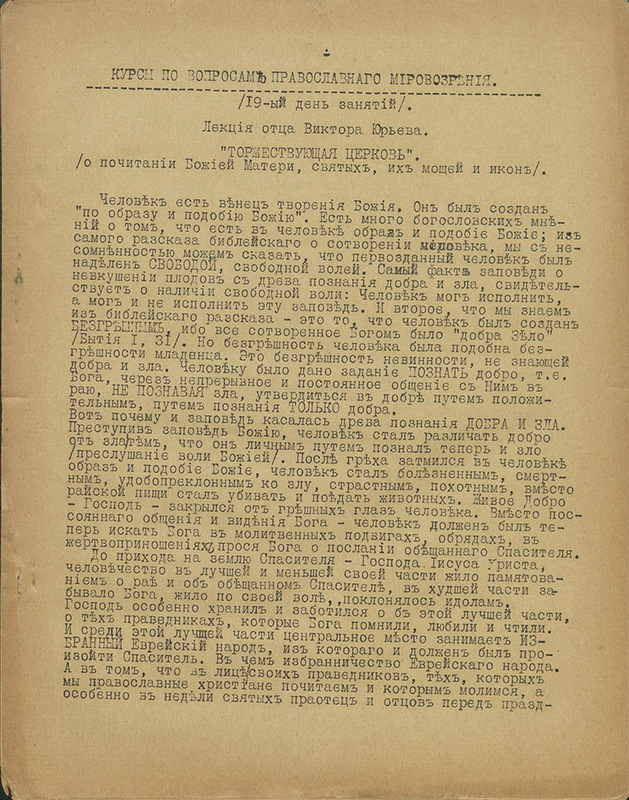 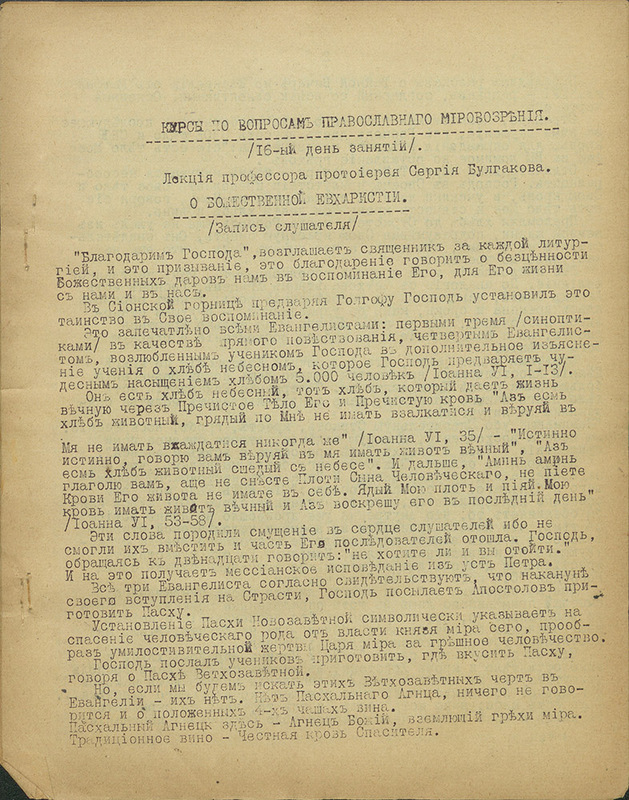 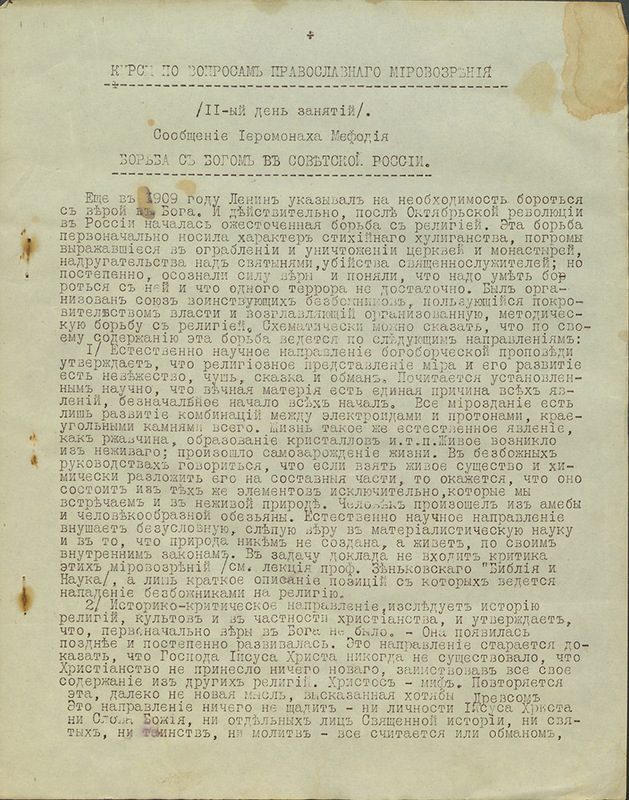 Typed essays, on the Ideology of the Russian Orthodox Church (Курсы по Вопросамъ Православного Мировозрѣния), published by the Parish of the Church of Christ the Savior (Издание Прихода Храм Христа Спасителя) in Asnières-sur-Seine, France, a suburb of Paris with a high percentage of Russian immigrants. 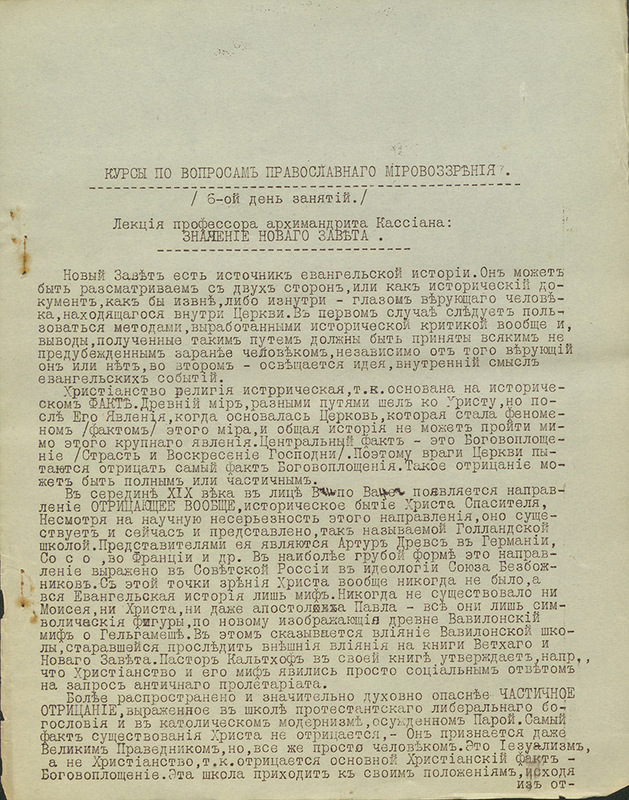 The essays are written by prominent clergical scholars of Russian orthodoxy, most notably Georgi Florovsky, who were forced to leave Russia for political reasons after the civil war. 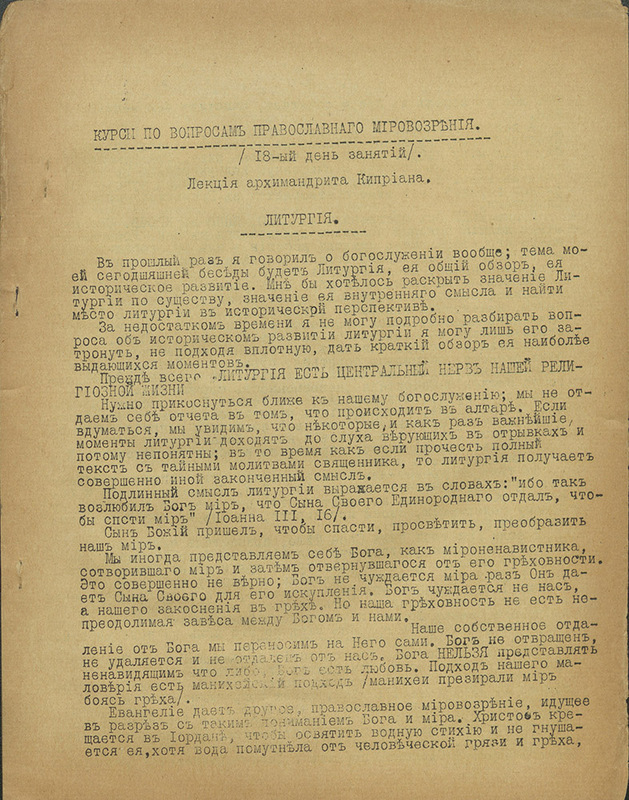 Lesson 17, the only one with a date, was written on February 26, 1938, and the others were likely from around the same time. 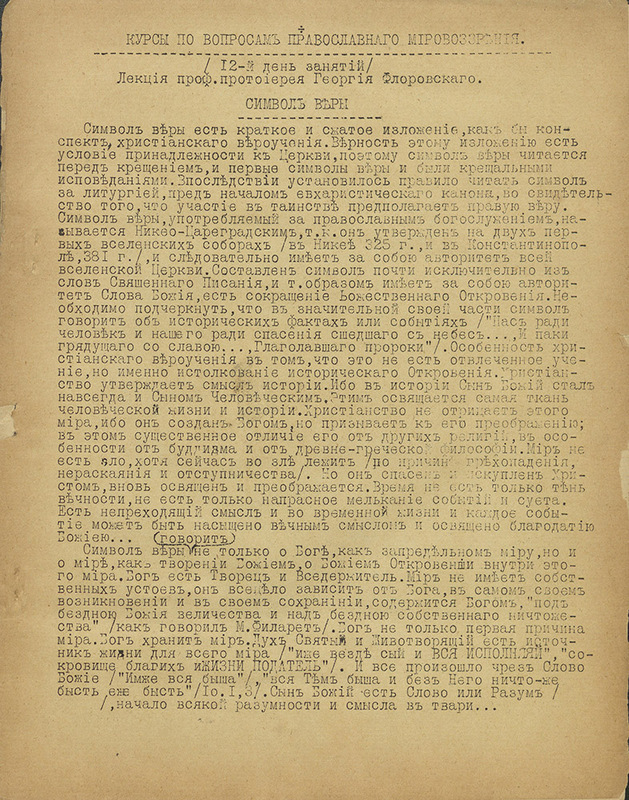 The pre-Soviet Russian alphabet is used, which is common among expatriots who left Russia around the time of the revolution.